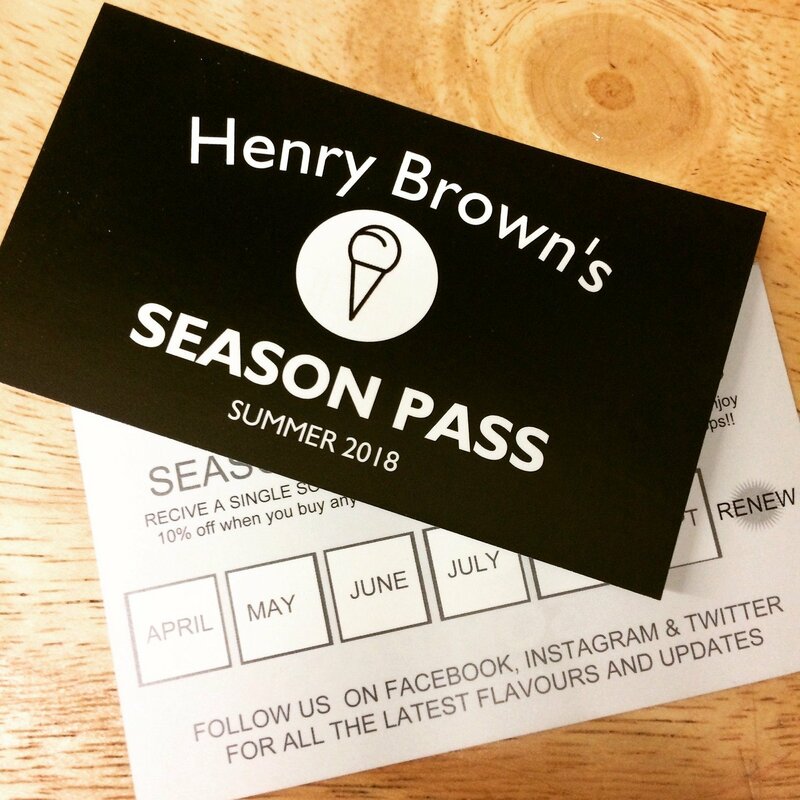 You can do your wallet a favour AND help to “GREEN UP HENRY BROWN’S” when you purchase our Summer 2018 SEASON PASS. Sadly, some of our prices will need to go up starting in April 1. But you can beat the increase all summer long! Each pass sells for $30 and entitles you to one scoop per month from April to September at 2017 prices AND gives you 10% OFF any additional scoops during that period, April to September!! The pass sales will help us manage the costs of switching to more expensive yet more environmentally sound packaging. We will be replacing our plastics with more environmentally friendly compostable and biodegradable packaging and utensils. This is part of our ongoing commitment to running our business in ways that are better for our planet. FYI... there’s only a limited supply of Season Passes, so buy yours today before April 31 or when they sell out, whichever happens first!